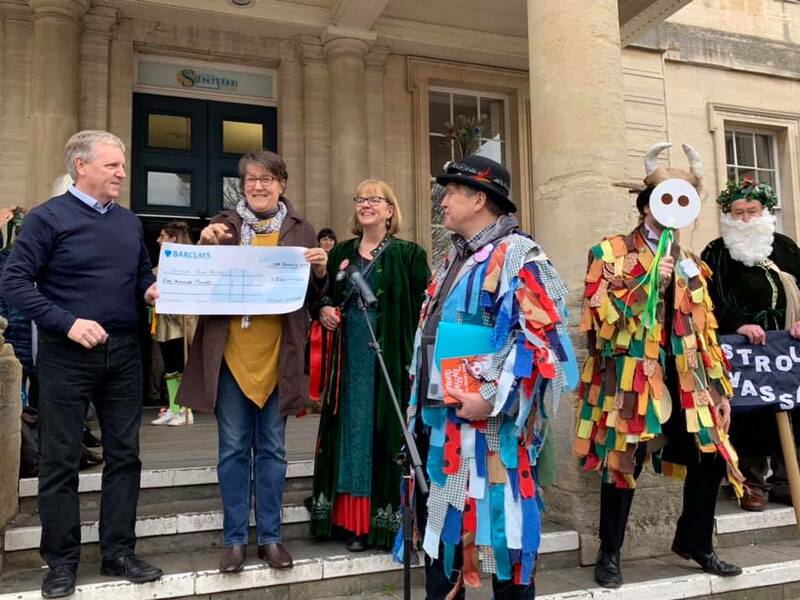 Following the 2018 Wassail, with what we raised from the Wassail Mummers tour, the street collection on the day, and various donations from the generous and compassionate people of Stroud, we were able to give £500 each to OPENhouse and Stroud District Foodbank. 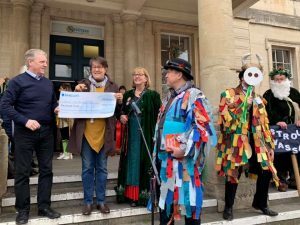 Here we are presenting the symbolic “big fat cheque” outside the Subscription Rooms at the 2019 Wassail. Waes hael! Photo gallery from the day to follow.